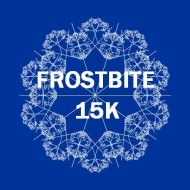 I ran the Frostbite 15K Sunday January 22nd, which was also my son's birthday!! It wasn't a frost fest this year. Quite the opposite. Humid, drizzling, and gray skies as far as the eye could see, but great running weather minus a few wind gusts. The Frostbite is put on by the Richmond Road Runners: the course is spot on, chip timed, no medals, finishers shirt, pizza after the race, $$ cheap entry, starts at 9 a.m. sharp. They usually post finisher's video with the results, but so far my video window remains blank :( Update! It is not blank anymore...type 35 (bib #) if you want to see me cross the line. good shirt this year - it is not a tech shirt, but it is a lightweight cotton. I woke up race morning and hit the snooze button a few times. I finally dragged myself downstairs about 6:45 a.m., drank a cup of coffee, took care of cat duties, ate a few bites of a peanut butter and jelly sandwich and about 8 pistachios, then got dressed and drove a half hour to the start line. I made 10 min. miles my goal. I have been having a hard time sustaining this pace for any length of time, so it seemed like the right goal so I could challenge myself and feel accomplished. Leave the orthotics at home (they feel awful when wet) I have never run more than a few miles w/o them! I took off and felt exuberant and thankful it was not raining hard (as predicted), so I wore my headphones, enjoyed my music and had one Nuun tablet in my handheld. Word of the day...consistent. I am not good at running a steady pace, so I tried to find that goal pace and just stay at it. I wondered when my lack of training would show itself. 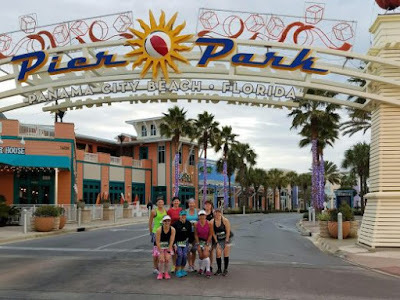 I have struggled the past two months not feeling well, the Panama City Beach half marathon Dec. 3rd, was the last time I actually covered 9 miles. I probably should have used intervals due to my lack of running the last few months, but the reason I signed up for this is because I wanted to run every step of a race. My feet can not handle the half marathon distance anymore with out intervals, and while I appreciate I can run a half that way, I miss being able to take off and run without pausing. The first few miles I settled into my pace, enjoyed the fact it wasn't raining, hummed along to my playlist, enjoyed running in a "new" area, thought about trying to pick up the pace about midway, and appreciated how the racing atmosphere helped me to dig a little deeper. I told myself if I was feeling okay after four miles I would try to pick up the pace, and I did! BUT, I realized I was going to burn out, my energy was tanking fast! Around mile five I reached for my pack of honey stingers chews in my vest and realized I forgot them! My Nuun was gone too. I asked for Gatorade at two water stops to fill up my handheld but they only had water...booooo! I could have used a little energy boost. I had been around the same three ladies almost the whole race. My race plan became hang with the group; and up and down the hills we went. Nothing crazy huge, but it sure isn't a flat course! I felt a few twinges of pain in the ball of my feet but nothing awful, and then right at mile eight, the pressure started. It kind of feels like someone is standing on my foot pressing down, like I am being squished and I am going to blow toes two and three right off. It was all in my right foot, which has become my nemesis foot. Thankfully, my left foot was behaving so I was trying to wiggle my toes back and forth, and land a little different to see if I could relieve the pressure. I was so close to running every step of the race! 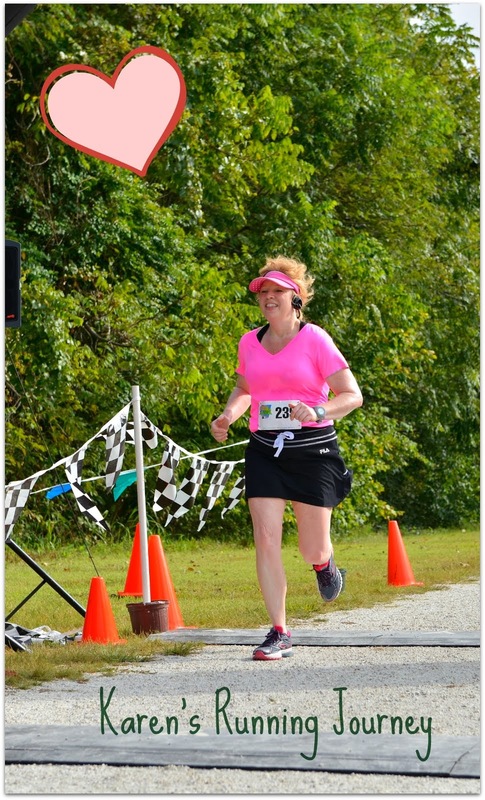 At mile marker nine I started pushing hard, I finished as strong as I could. My right foot was throbbing, but the walking calmed it enough so I could rally a little at the end. My official time 1:33:03 It is my slowest 15K to date, but I am proud of my time. I am really coming to the terms with the impact this foot condition has on my running, and by the time I drove home I was completely over fact I had to take the walk break. Who knows??! I could be slower every year from here on out! What matters to me most, is that I remain in some kind of shape that allows me to cover the miles. I was tickled I was actually consistent! Okay, truth be told, I got SUPER lucky I had some ladies around me who are better at pacing than I!! I need to remember my fuel when trying to run a challenging pace LOL Duh!! I can't believe I left my honey stingers on the table. Set expectations for where you are currently at. Based on my runs the past two months, this is a strong run. I still get discouraged at times over the damage in my feet but I will not give up. Took another huge step in the letting go process...I will not beat myself up over, or wish for, what I "used" to be able to do! Don't sweat the small stuff. It is just running. My feet seem to have about an eight mile limit for steady runs. I made this discovery during marathon training and even with my lower mileage the past few months, my feet gave up and the pain kicked in at about the same point. I should use intervals for anything longer than 8 miles, but I just got stubborn and wanted to test those limits again. I felt very accomplished with my effort and there is no way I would have pushed myself this hard on a training run. Monday, my legs had that appropriate soreness that reminds me I gave it a good effort, and my tootsies were feeling better as the day wore on, so overall it was a very gratifying race. My next racing adventure is a half marathon towards the end of February. My main mission right now is to get some kind of routine going and rebuild my endurance! Have you raced the 15K distance recently? Are you good at keeping the pace consistent? Summing up last week in pictures and a few words! Monday - weight lifting and leg lifts at the gym - I came home and planked, it was my last day of my planking challenge - 5 minutes a day for a week, I am so over planking! Wednesday - 7.19 miles (34:40) to break in my new bike seat. I think it is the answer ❤ I don't know if you remember😢 but a few weeks ago I was chafed raw - I need to test it on a long ride, but this seat felt so much better! Thursday - Ran 3.60 early morning miles (37:22) crisp, quiet, and I actually stretched after like I should! I used all my morning time falling. I ran 1.6 miles (16:36) around the block to loosened up my right side which took the brunt of the fall. Saturday - took my son out for his 27th birthday and walked off the cheesecake later. 6 walking (1:32:17) miles. My shoulder was still throbbing at this point. Picked up my bib and shirt for Sunday! 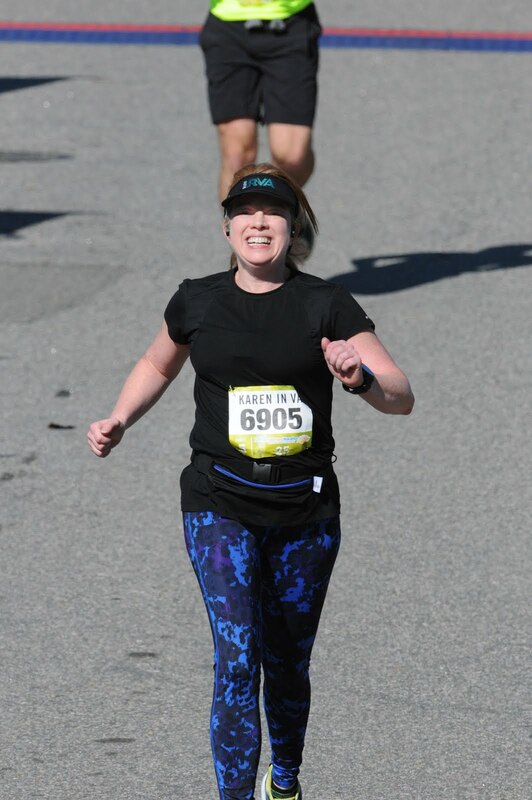 Sunday - Here is my blooper race pic - hubby was trying to make me smile 😄 Real smile pic for the recap which I will post very soon. 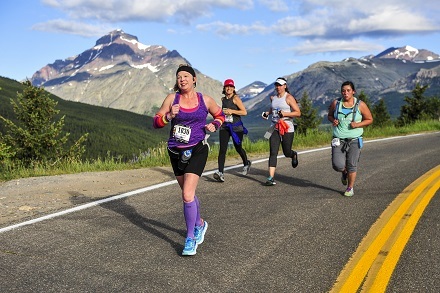 Hey, I ran in tank top for the freaking Frostbite 15K LOL I kept my vest on for the race because I was anticipating rain, that never came! I'll be stepping away from writing blogs for a bit, but I'll keep in touch through my Instagram page! I always debate if I should make an official announcement...or just fade away into the sunset, but as a blogger I feel attached to my online connections and want to acknowledge that your support, advice, and encouragement are important to me. I mean if I lived next door and actually liked you I would tell you I was putting my house on the market, right. I would not just pack up and disappear without saying good bye. I have certain times of the year that are busier than others, the next few months are crunch time and I have a lot of extra work this year! I sit at a computer all day. Sometimes I just have zero desire to try to create a post, or stare at a screen in the evening, even if it is to read something I enjoy! I wrestle with posting when I don't have time to read and respond to comments. Sometimes I feel like I am juggling too much social media. I started a Running Over the Hill Facebook page and was going to try to build it, but I realized it isn't what I want, for now anyway. I really want to consolidate my energies into one place. Shoot, I barely check my personal FB page, it is mostly in existence so my disabled Mom can play her Farm games as me and herself, then send gifts to herself from me. I am sure I can't leave the blogisphere forever, but for now I will dial my efforts in on Instagram. There are many positives there, mainly I can keep my account private and still keep in touch with my friends. My Instagram Karenrunsva is 99% fitness, but I will post about my cats and other fun adventures from time to time. If you want to connect on Instagram send me a message! 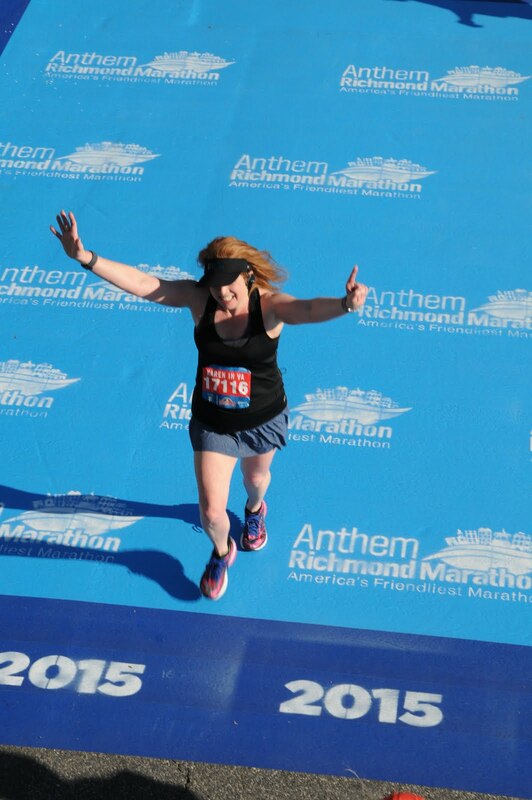 My race recap will be up shortly! Do you have a bunch of botched photo attempts on your phone? 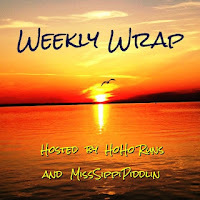 This is kinda of a runfession, weekly wrap up, training recap (bahaa), public service message post! I know I won't get to post until next week so I am cramming it all into one! I experienced it all last week! Week ending November 27th was the last time I logged close to 20, with 19 miles in a week. I realized that week something was really off and stayed low mileage through December with stretches of a week at a time of rest. The first week of January I logged 15 miles, and I think every mile has felt challenging but glimmers of normalcy are creeping in. You know those wonderful effortless feeling runs where you feel in the zone?! I haven't had one yet 😅 but I have had a few minutes on each run where I actually stop huffing and puffing and feel like I could go longer...than reality hits lol but that is okay, it is a work in progress. One thing for sure, I won't get a big head from running, it keeps me humble. Tuesday when I wanted to be lazy I had to plank five minutes! Wednesday it looked like this but it all melted in a few hours. Wednesday was so warm...as soon as I got off work I put on my shorts and ran! It was such a nice sight to see all the slippery stuff melt away. I had fresh legs from four days off running and was excited for the warmth. I was headed right for the rainbow. I did get super tired trying to push a little on this run, but I was happy. These paces feel very challenging to me right now, my breathing was a mess, and I got a killer side stitch and I still felt like I had floated towards clouds when this one was done. Thursday full on summer weather hit. I texted run buddy to run with me after work, you can't miss these kind of days in January. 70 degrees when it is not a bit humid is pretty amazing, if only summer could feel like this. Neither of us had much time so we decided on a 5K. I runfess I was sad when I heard my watch beep at mile 3 - I didn't want it to end so fast! The first two miles I was huffing and puffing, and my right foot (toe two in particular) was screaming, but I found my groove on the last mile and started riding the rainbow lol The mood boost was huge! My legs felt shot, I am not use to running three days in a row, but I was whistling in the shower :) I know the day is coming where I am going to ride the unicorn! Here is another runfession, I have lingering paranoia about injury in my legs, I am afraid I'll never be over it. I have felt the slightest pinch in my left shin just a few times this week and I keep wondering if my legs are really okay now, or if I should rest for another extended period just for good measure. My stress fracture was January 2015 but the sensations in that spot have never gone completely away. I also remembered that planking and push ups for a very long time aggravated my tibia bone, I had to tuck my leg for a long time so it wouldn't throb for several months, after I spent 6 weeks off in a boot. The problem is I need to tuck my left shin and my right toes are so sore I can't put all my weight on that foot LOL yes, for REAL. Anyhoo...I am going to run my 15K this week and then I will decide if I need a little more time off running. Sunday was long run day and I slept late! This is a bonus of winter, not snowmageddon days, but the average winter day rocks. I went out and planned to do 6, but decided while on the move to squeeze out one more mile. It took me three miles of talking to myself to just keep moving and then I finally started to have those moments...the good ones. The zone out, my feet would finally turn over without mental effort, I could breathe...my last few miles things flipped and I was on a little runners high for sure. While my running is improving, it has not been easy for sure. My breathing is still a bit ragged and my heart rate is sailing on runs, but I feel like I am thisclose to actually feeling strong on a run and having it all under control. I've had some good moments, now I just need to start stringing miles together like that. Hopefully you'll see me waving from my unicorn soon :) Hope you have a great week! Did you see the ginormous moon last week? Had a good runner's high lately? Been in the zone? Tell me about it! Been though the process of coming back and feeling like running is all uphill? Have a summer day at your house in January? How Close to Home Makes You A Local Yokel? Talking racecations or local yokal this week. 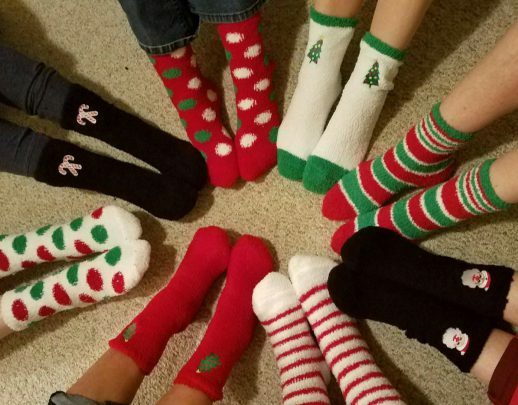 I am linking up with Patty, Erika, and Marcia! 2016 taught me an important lesson...racecations are the best!! I sure hope I get at least one good #holottafun weekend this year! I tend to look at local races or things within a three hour driving range most of the time. I think I am a wanna be racecation weekend warrior. I wannna go run ALL the races...but the reality is, work schedule, pets, traffic, budget constraints, usually keep me closer to home. My location in Virginia puts me about two hours from VA Beach and two hours from DC, but traffic is often my deterrent from choosing either location. Maybe 2017 will break that for me, but usually I can talk myself out of those locations pretty easily. The handful of races I picked out to run this year are all a little over two hours south or west of me. I always debate about staying overnight when things are just a smidge over that two hour mark! An overnight is not really a racecation, yes or no?? A quick overnight doesn't feel quite the same to me as real racecation, but I do love them! And is two/three hours from home "local" ? I do LOVE being able to sleep in my bed, but I always jostle with the hotel decision when I am over the two hour drive mark for race morning. Is leaving the house at 4 a.m. really reasonable?! Thoughts? I have not decided because I haven't left that early...yet! I guess I am a local racer at heart. Are you running any VA races this year? Chafing, Snow, and Dish Soap! Oh My! 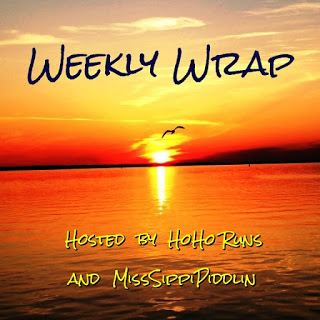 I am linking up with my awesome running gal pals to share my weekly wrap! My bike ride left me with some epic chafing on my legs. Kenny has since ordered a new seat for me in hopes this won't happen again. I tried to take a tactful pic 😟 This is how it looked after a week of healing...it was deep. It is amazing how much it stings. Wednesday morning I was so excited, it had been an entire week since my last run! I broke out my knuckle lights at 5 a.m. and off I went. Part of the reason I rested so much in December, besides all my aches, was I could not get my feet to turn over at a normal rate, I just felt off. My goal Wednesday was to make my feet turn over a little faster. 9:57, 10:34, 9:51, 10:24, 10:16 Stringing these paces together is killing me right now! I was tired after this, but thrilled this run went so well. Trying to focus on keeping my cadence strong will be my main mission the next few weeks. Snow had been in our forecast all week, but our weather has been pretty mild, so I wasn't sure if I should believe it. However, by Friday it was freezing and it was evident the snow was coming. While everyone else was running to the grocery store restocking their pantries and supplies, I was worried about missing my runs. I came home from work a little early Friday so I could get a run in before dark. I decided I would run a steady four miles and then switch to intervals. I have a one mile warm up programmed into my interval set, so I stopped at three miles and restarted my watch. I used 3 minutes x 40 seconds intervals. I thought it was super strange my average pace was exactly the same for both runs. I couldn't do that again if I tried, right. Mile one I felt like I was pushing too much, so I let my self recover during mile two but I didn't peek to see my what pace was at the time. I felt better and picked it back up, but those four miles zapped me! I welcomed the intervals. After I got home and saw how much I needed to slow down to regroup, I realized maybe I need to pick my runs to push my pace, I can't do it on all my runs, at least not this soon. I need to get off the, oh no I don't want to run a crappy 15K plan. The snow actually started as I was finishing up. My legs were so freaking tired, but I was smiling, and I probably won't run again till Wednesday. That'll be five days off! I am hoping the rest balances out my greediness with the miles on Friday. I am also glad my biking chafe was almost healed because I received some epic chafing right along my sports bra line on this run. I was raw in the shower...😝 I am not sure why my sports shield suddenly stopped working, but it is not. The snow and cold hung around all weekend. My run kept me smiling all day Saturday while I was laying around having a snow day. Snow walking is all I got in this mess. Our streets were looking messy every way I turned. Slick!! Total fail, I didn't realize I only had dribbles in the bottle, so I was freaking I would run out from Friday night, till that new bottle made it safely in my house. Next snow storm I will remember to check and make sure my dish soap isn't running on E! Crisis over...😉Life is good, I got some snow walking done, I have clean dishes, and antibiotic cream on my chafe. I sure hope this stuff melts soon. I feel like I am still trying to get the new year in gear! What kind of body glide do you use? What is a must have item when you are snowed in? Have you tried Vega chocolate protein? Do they actually plow streets where you live? I’ve been trying to give my legs a little extra TLC and have taken lot days off running in December. I actually only ran 11 days the whole month. 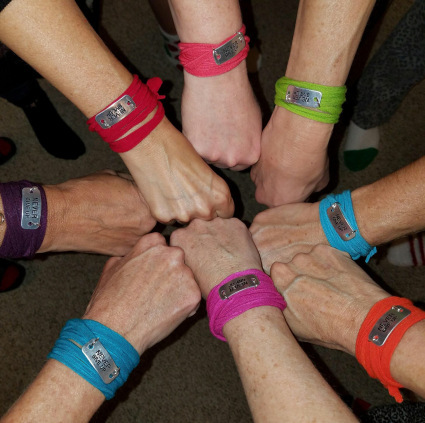 I took a much needed blog/social media pause, so I wouldn’t get distracted and try to jump into running too soon…I have FOMO bad…and I needed to clean some stuff out and boy, am I slow! If I start reading blogs I can talk myself out of cleaning my closet quite easily, so I felt the need to take the temptation away. I am not sure if I tweaked my stress fracture area again, aggravated some scar tissue that may have built up there, or if I did something to the muscle, but there was a slight pinch in that area and in general my legs have just felt off (off and heavy). I rest a week, have a good run, but the next attempt my legs are back to feeling off, so I have been trying to give them a break. I typically do not struggle like this when the weather is nice and cool so this has been an odd experience for me. I have started the past few years off injured right out of the gate, with a few months off. I am a bit paranoid for sure, and a bit leery of pushing myself too much and ending up in that predicament again. I am trying really hard NOT to write that story a third year in a row. I just want to go through 2017 with healthy legs! Hopefully my little self-imposed break will let whatever I tweaked heal up. The rest is good for my feet, but it is also scary to feel like I am starting over again. I have my first race to run on January 22nd, the Frostbite 15K, so hopefully I can start a regular running routine soon. I have a feeling the Frostbite won’t be much of a “race”. I’ve also been battling a nice deep pain in right gluteus. I am always intrigued that as I rest one area and it starts to feel better, that other things start to hurt. I guess I aggravated it doing squats, I really have no idea, it just kind of showed up and hurt one day and wouldn’t go away. Anyway, I mostly feel like I am on the mend now. It just feels like it is taking forever and of course I want it all better yesterday. I have plans I want to make so I can get rolling on 2017, but I have been hesitant to sign up for anything. I just want to be sure I am healthy and able first. I guess that is what the past few of injury have done to me…I am just a little gun-shy to jump in and start signing up for things until I actually start running happy again. Have you come out the gate running or are things getting started a little slower for you?